A Weston teen with a peanut allergy died after she ate a Chips Ahoy cookie. Her family is blaming the confusing packaging. 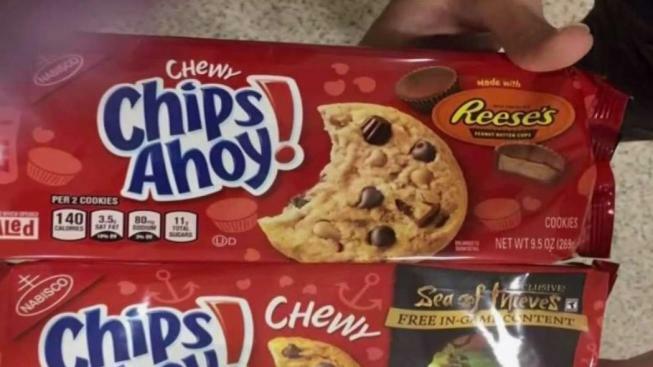 A South Florida mother says her 15-year-old daughter died after mistaking a Chips Ahoy cookie with peanut butter for a regular cookie and now her mother is calling for the company to make distinguishable packaging for foods with allergens. Alexi Ryann Stafford, of Weston, made the fatal mistake when she was at a friend's house and reached into an open package of chewy Reese's Chips Ahoy cookies, thinking it was safe for her to eat because of the familiar red packaging. The top flap was peeled back, hiding the Reese's label on the package. "She started feeling tingling in her mouth and came straight home," her mother, Kelli Travers-Stafford, wrote in a Facebook post Thursday. Travers-Stafford said they administered two EpiPens while waiting for paramedics to arrive. Stafford quickly went into anaphylactic shock, stopped breathing and went unconscious. She died on June 25, within one and a half hours of eating that one cookie. Her mother, shocked and angry, took to Facebook to warn other parents and demand that the company that makes Chips Ahoy change its packaging. "As a mother who diligently taught her the ropes of what was okay to ingest and what was not, I feel lost and angry because she knew her limits and was aware of familiar packaging, she knew what 'safe' was," Travers-Stafford wrote. She continued: "A small added indication on the pulled back flap on a familiar red package wasn't enough to call out to her that there was 'peanut product' in the cookies before it was too late." Chips Ahoy has different color packaging to indicate regular, chewy and chunky. Kelli posted on the social media site side-by-side photos of the regular chewy Chips Ahoy package and the chewy Reese's Chips Ahoy package. Both variations have very similar red packaging. She also posted photos of the almost-identical brown packaging of the regular and peanut butter variations of Chips Ahoy's soft chunky cookies. The post had garnered over 40,000 likes and 67,000 shares as of Monday night, with many on social media calling for the company to change its packaging so consumers can distinguish the cookies with allergens from the ones without. "We take allergens very seriously," Chips Ahoy wrote in response to users' demands. "Chewy Chips Ahoy! made w/ Reese's Peanut Butter Cups packaging clearly shows that it contains peanuts through words and visuals. Package color indicates Chewy, Chunky, or Original. Consumers should always read the label for allergy information." NBC 6 reached out to the Stafford family for comment, but they have requested privacy at this time. Dr. Adriana Bonansea-Frances, who specializes in allergies and immunology, told NBC 6 it's important for people with allergies to be overly careful. "If you are in a different house, you have to be more careful and always ask and always look at the labels," she said. According to the Centers for Disease Control and Prevention, peanuts are the most common food children in the U.S. are allergic to. While most allergic reactions are not life-threatening, a more severe reaction known as anaphylaxis, where blood pressure drops and airways narrow, making it difficult to breathe, can be deadly, the agency said. Anaphylaxis requires an injection of epinephrine, also known as EpiPens, and the CDC urges people with known allergens to carry the medicine with them at all times. We were very saddened to hear about this situation, which we first became aware of from social media posts last Friday. We take allergies very seriously and all of our products are clearly labeled on the information panel of the packaging for the major food allergens in the U.S. (milk, eggs, fish, crustacean shellfish, tree, peanuts, wheat, and soybeans). Across our Chips Ahoy! portfolio, packaging color is a cue for product texture (i.e., Chewy, Chunky, Original) and is not indicative of the presence of allergens. On packaging for Chips Ahoy! made with Reese’s Peanut Butter Cups, branding and flavor are prominently depicted in both words and visuals on the front and side panels. We always encourage consumers to read the packaging labeling when purchasing and consuming any of our products for information about product ingredients, including presence of allergens.